Moving to the cloud can be a risky proposition. We can help you make the move. Space/Time Saver: As the saying goes, time = money. With SaaS, companies are able to access real-time information of inventories and production leads to more accurate reports and better decision making for scheduling, forecasts, and budgets. This allows for prompt responses to customer questions and can help you with Customer Relationship Management. This is a small but crucial piece of cloud computing. Reliability: How reliable is your back-up plan? Do you have a back-up system in place in case your servers crash, or the power goes out? How about a duplicate or redundant system in another location in case of serious failures? This is all planned out with cloud applications. Testing is done frequently to the back-up systems to ensure integrity and functionality. Monitoring is done 24x7x365 to make sure you have the highest possible uptime rate to access your applications. All that is needed is an internet connection. Staff has connectivity on the road or after hours. 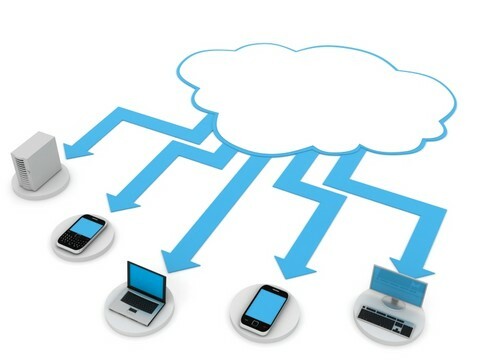 Systems with mobile applications create another arm of connectivity besides a laptop. Global connectivity is available to you and all users of your system wherever your business might take you.